Some of The Basque people have been accused of many things: Traitors, Atlantians, Rebels, Militia, but one thing that they will always be, is different from the common-threaded European bloodlines. The original name (and is still used in the native tongue) of the Basques, is 'Euskera'. The Basque language is found to not related be to any other language ever seen or recorded. Although, there are some modern words that are adapted to English, Spanish, French, and East Indian that in fact, are Basque in origin. It even crosses over in the modern day foods and expressions. In the region's schools, the language that is now being taught is the "Unified Modern Basque Language". Since, like many languages, regionally, it originally had several dialects spoken. The language is called Euskadi (sometimes Euskari), and a Basque person is known as a Euskaldun. There is a separate empowered and appointed presiding power. There is a Basque national flag having a history that has a heavy importance of pride and honor in its development. Basques have fought for their land, their culture, and their pride. The traditions are alive and flourishing in the descendants today. Donostia/San Sebastian could be considered one of the most scenic places in the world. Another factor in the home life of a Basque family, is the perpetuation of the belief system. 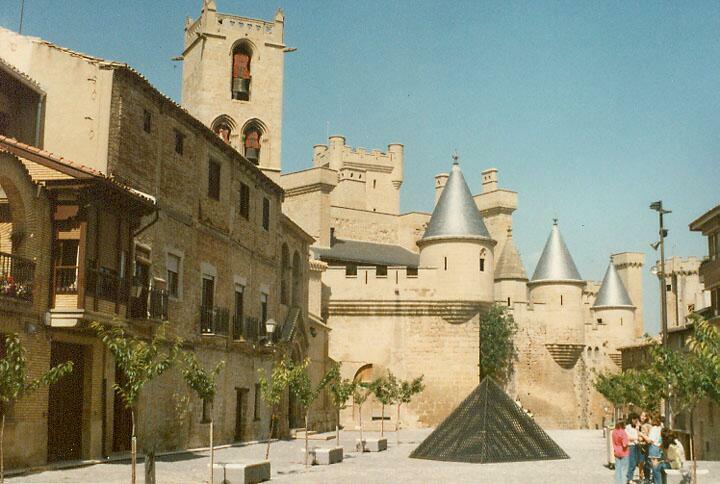 In a Basque home, it is the home itself that brings forth the strongest religious symbol. You would have never seen a traditional Basque person journey to a church or place where their family does not reside. The sanctuary of the heart truly was the home, and therefore, it was commonplace from a Basque family to live in the same home for hundreds of years. In some regions of today's Basque Country, the Jewish faith has reclaimed many of its past agnostic nationals, due to its Spanish influences to the south. This would have never have been tolerated in the early days of a rebelling Basque nationalist. Christianity is also common in today's modern land. The Basque country Map as it stands today. Now known as 'The Autonymous Unified Basque Country' (Euskal Herria). It consists of the North and South Provinces. North controlled by French and South controlled by Spanish. 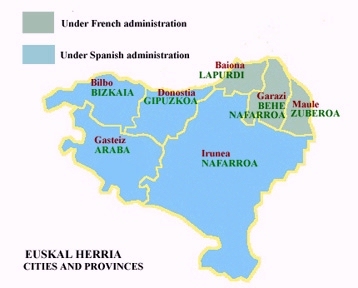 The Names of Basque Cities and Provinces are constantly under pressure to be called by the Spanish or French versions along with it's native tongue's version. Consequently, it is common to see a street sign or township's sign to bear 3 different names. The Basque soil is among the most fertile in the world. The wineries and orchards export some of the most favored among connoiseurs the world over.